cleveland.com launches news and information app for iPhone. cleveland.com has launched an iPhone app with real-time local news, sports, entertainment, business, features and opinion articles and photos from The Plain Dealer – plus links to local classifieds listings. The cleveland.com iPhone app features content from the number one Cleveland news and information website in affiliation with The Plain Dealer and Sun News. It is available for download at no charge in the App Store. The app was developed and launched with Advance Internet and Verve Wireless, and versions of the app for Android and Blackberry devices are planned for future release. The app includes social features for the audience to share content via Twitter, e-mail and Facebook wall posts. Users also can use their phones to shoot video and photos and submit them through the app to cleveland.com. Content on the app includes news coverage of local communities throughout the Cleveland area, high school sports, local pro and college teams (such as the Browns, Cavaliers, Indians and Ohio State) and entertainment coverage of TV, movies, music and the local arts scene. It also includes local advertising and links to classifieds listings of jobs, new and used autos, and homes for sale and rent. When the app is opened, it very quickly downloads articles and stores them in the device so they can be read later, even when the device is not connected to the internet. The app also can be customized for one-click access to the categories that most interest you. Download the cleveland.com app from the App Store here. 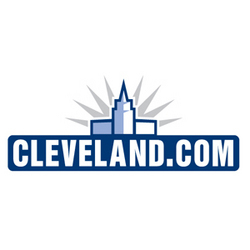 cleveland.com, a subsidiary of Advance Internet, Inc., is the leading local website for news and information throughout Northeast Ohio featuring the latest Cleveland news, business, sports, travel, weather, traffic, shopping and entertainment information. In addition, cleveland.com has a comprehensive business listings directory, as well as local classified listings for jobs, homes, apartment rentals and autos. cleveland.com is the online home of The Plain Dealer and Sun News. Advance Internet, Inc. (http://www.advanceinternet.com), based in Jersey City, NJ, is a leading creator of highly interactive, online community-based news and information websites created in alliance over 25 newspapers affiliated with Advance Publications Inc. Advance Internet’s websites are the number one local news and information online destinations for the markets they serve. The websites include al.com, cleveland.com, gulflive.com, MLive.com, NJ.com, NOLA.com, OregonLive.com, SILive.com, syracuse.com, MassLive.com, PennLive.com, and lehighvalleylive.com. Based in Encinitas, CA, Verve Wireless, Inc. and their proprietary Verve Local Content Gateway (TM) allow local media companies and advertisers to seamlessly extend their reach into mobile devices across all the major carriers. Verve Wireless currently works with over 700 leading media companies from the US, Canada, and Europe including dailies, radio, local broadcast stations, and online properties. For more information, visit http://www.vervewireless.com.